Few will dispute the fact that it was not a pretty or helpful sight—the 15,000 people, mostly chassidim, gathered last Sunday at the Nassau Coliseum on Long Island, specifically to rail against and criticize the Israeli government. This conclave may have revolved around an abundance of issues that can perhaps be amply debated and discussed, but there was another aspect of this public display of criticism by Jews of other Jews. And that is the one from the broad view that emphasized disagreement and dissension amongst Jews which, unfortunately, emboldens and strengthens our critics and enemies. Without unpacking the pusillanimous details or the catalyst of the event, this was just a plain old-fashioned chillul Hashem. No doubt that the Satmar Chassidim have some legitimate gripes, as most groups do, on some issues and policies maintained by the current government in Israel. But to display this level of animus and ridicule on a public stage and in front of the world media is detrimental to Jews and the cause of Am Yisrael everywhere, and there is no way around that reality. It seems that the late grand Rebbe, R’ Yoel Teitelbaum, the uncle of Rav Aharon, the Rebbe from Monroe, NY, who spearheaded Sunday’s rally, may have opposed this kind of display that denigrates other Jews and especially Israel. The story is told and has been recorded about a meeting between R’ Yoel and then newly elected senator of New York, Daniel Patrick Moynihan, who served in the Senate from 1977 until 2001. Moynihan, also a former U.S. ambassador to the United Nations, was a strong advocate for the state of Israel. Not being familiar with the nuanced relationship between the Satmar Chassidim and the secular state of Israel, Senator Moynihan talked to the Rebbe about his outstanding and stellar record on support for Israel. When the Rebbe was later asked by the chassidim about his acceptance of the senator’s support, the Rebbe is purported to have said that for a non-Jew to be anti-Israel is not a good thing. The Rebbe said that for a Jew to be opposed to secular Zionism was a separate issue. 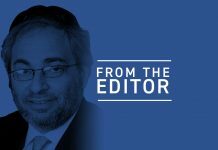 If there are differences inside the family that is the Jewish people, parading it—as was done Sunday at the Nassau Coliseum—is indeed a damaging spectacle for the world to observe, and it should not have taken place. It is a curious matter as to why Jewish communal leaders have been silent on the matter—unless the thought process is not to call additional attention to the awful exhibition which, without any assistance from any other direction, is already damaging enough. We reached out to several communal leaders to assess their impressions of the situation. “I am deeply hurt that Torah Jews would spend tens of thousands of dollars to demonstrate against Eretz Yisrael,” said Stephen Savitsky, a former president of the Orthodox Union. “They are sending a terrible message to the world and give our enemies more reasons to condemn our only Jewish homeland,” he said. The rally called to damage Israel was overshadowed by the outstandingly positive celebration at the Celebrate Israel Parade on 5th Avenue in Manhattan, where tens of thousands marched and several hundred thousand spectators watched, all joining in a giddy, festive demonstration of love and support of Israel. Unfortunately, as is usually the case, protesters dressed as chassidim and waving the flag of the terrorist-laden and murderous Palestinian Authority received equal attention on the news with those parading up the avenue. Obviously, there is something terribly wrong with those demonstrators as well as with those who jammed into the arena in Uniondale, New York. Rabbi Aryeh Zev Ginzberg, a columnist here and rav of the Chofetz Chaim Torah Center, said that while he understands the motivation of the protesters at the Coliseum, he feels that the thought process behind the event was misguided. He added that two mainstream chareidi leaders said directly that the Satmar-sponsored event on Sunday was a chillul Hashem. The rabbinical leaders asked not to be identified, but Rabbi Ginzberg said he can vouch for the veracity of those comments. While R’ Aharon Teitelbaum referred more than several times to the position on Israel by his uncle, Rav Yoel, zt’l, Rabbi Ginzberg said he does not believe that the Rebbes today are appropriately well-appointed to pass that kind of judgement and say those types of things. “When Reb Yoel stated his position on Zionism and the state of Israel, it was a vastly different state of Israel than we are dealing with today,” Rabbi Ginzberg said. Rabbi Ginzberg adds that most of us do not understand what went into the thought process at that time by the former Rebbe. “There were certainly challenges to religion in the state of Israel 40 years ago that are just not present or a consideration today,” he said. Some will disagree with that assessment, but there is one truism that cannot be doubted or even debated today, and that is that the state of Israel today is the greatest supporter of Torah in the world. So what exactly is the complaint? Of course, there are problems on a multiplicity of levels when it comes to the observance of Shabbos and kashrus standards in the Jewish state. But that is a work in progress that the observant members of the Knesset work on constantly in an effort to improve observance on all those levels. But organizing to condemn and vilify the Jewish state is unconscionable and should not be acceptable. It is more than that as well. It is a gift to the enemies of the Jews, of which there are far too many. This type of event strengthens those enemies. All they have to do is point to the Nassau Coliseum last Sunday and the accompanying media coverage and say, “You see, their own people do not support them; their own people want to see Israel wiped off the map.” Why should the critics of Israel be held to a different standard? The 16,000 who gathered at the Nassau Coliseum last Sunday are the corroboration of the idea that Jews need to be dealt with harshly. Alex Edelman, the mayor of the Village of Lawrence, was born in the town of Satmar. 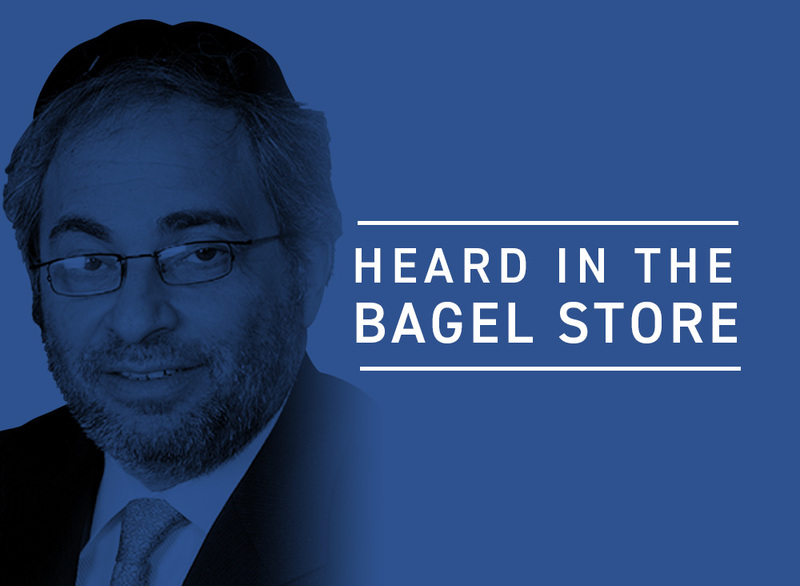 He has held fundraising events in his home for Satmar-affiliated institutions over the years. “They should be condemned in the most severe and extreme terms,” Mr. Edelman said. “This was a classic, textbook defamation of the name of G-d, and they should be ashamed of themselves,” he said. But they are not. They believe that they are right, and that causes the greater Jewish community great pain. What is there to say? It was not a smart move. While I won’t give my opinion whether the gathering was wrong since I don’t like bashing other jews, especially when they act according to their Gedoilim, one thing was consistently wrong in the article which I would like to correct. The opposition of Satmar to the state of Israel has nothing to do with the level of mitzvah observance or tolerance in the country. As Reb Yoelish writes many times in his Veyoel Moshe, even if the state would be led by religous people and every move they make would be according to the decisons of Gedoilim, his opposition would be the same, as the reason to it was not the level of observance, only that in his opinion the entire existence of the state is against the Torah. In fact this gathering was remarkably NOT about religous problems in Israel e.g the draft and other issues, only about the core exsistence of the state. (Something which led to opposition of the gathering by other Satmar factions.) Therfore, stating that Reb Yoelish would have behaved differently today, based on the fact that religous tolerance is much higher today, is an ignorant mistake. Moreover the gathering was not a demonstration against Israel, (unlike the one in Barclays Stadium last year), only a central gathering of Satmar Chasidim to review the Satmar opinion and was not intended for the world to see. The gathering was originaly planned to take place in Monroe, where it would have recieved absolutley no media attention, and only space constraints forced them to use a stadium. As a side note, just as Rav Aharon Teitelbaum arguing with Rabbi Ginzburg about the opinion of say, Rav Moshe Feinstein, would be laughable, Rabbi Ginzburg arguing with Rav Aharon on the opinion of Rav Yoelish is, with all due respect, the same.